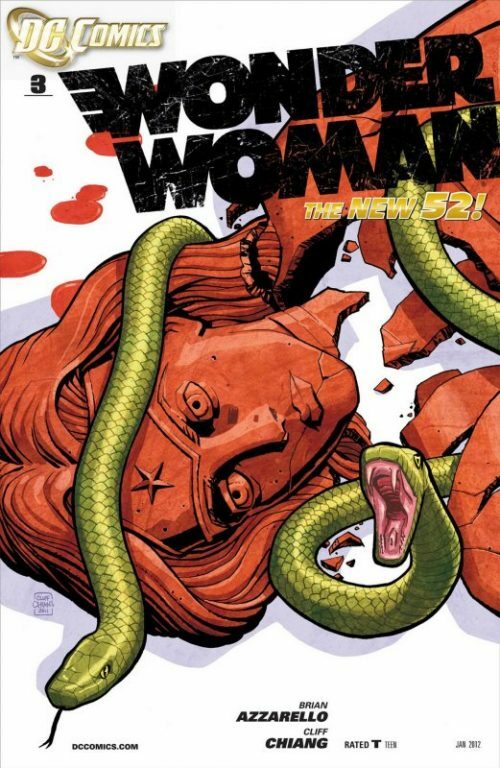 This issue follows on from the shocking events of War of the Gods #3 in which Wonder Woman is slain by Circe, who uses Hectate’s power to devolve the Amazon Princess back into the clay from which she was first created. Diana’s fate after her “demise” is addressed in parallel to this issue in The Demon #17. Considering such a monumental event i.e. 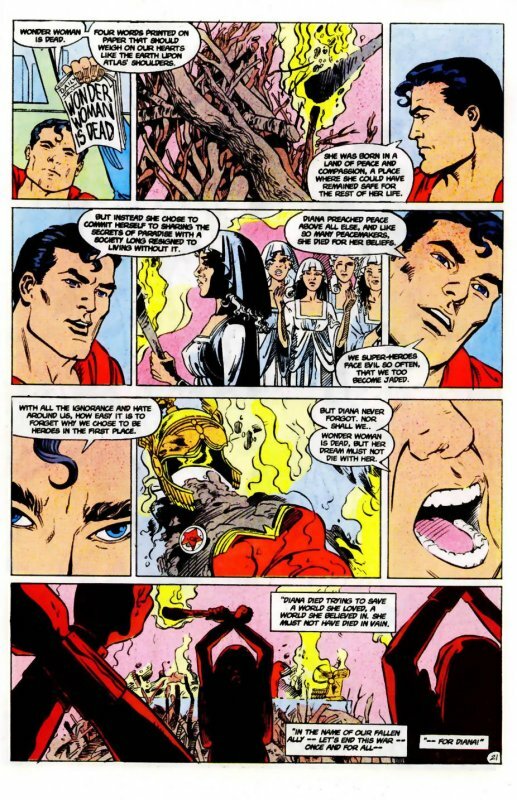 the death of the lead character, it always seems surprising to me why Perez chose not to depict these events in the pages of Diana’s own book, where they could have been given more significance. 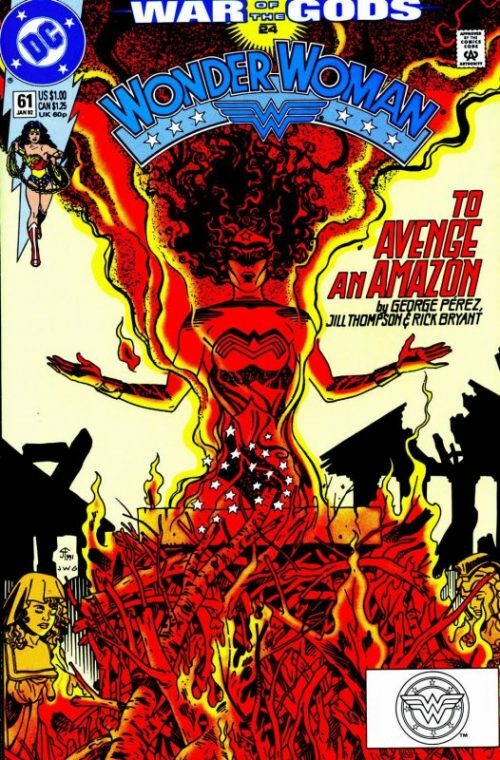 While Wonder Woman’s death is not exactly brushed over in War of the Gods #3 (unlike how John Byrne would later depict her death during his post crisis run), it still feels somehow to be less impactful than it should be. 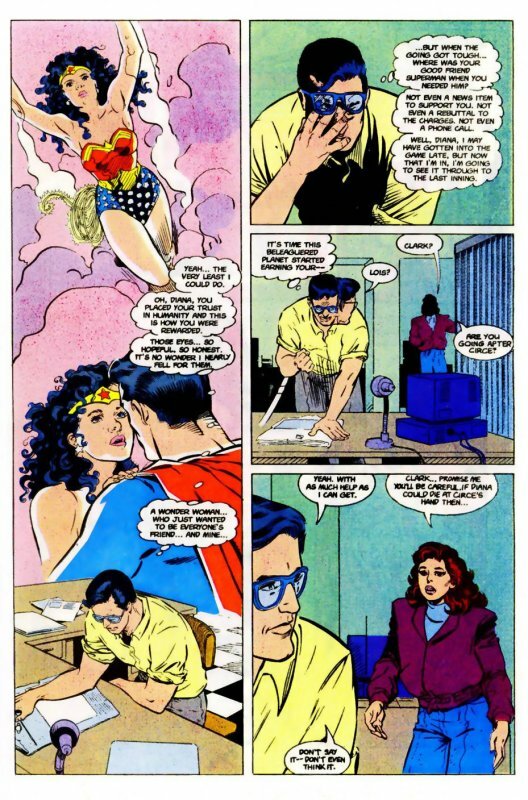 Admittedly, her fans knew all too well that with one more issue of the “War of the Gods” story still to come, it was highly unlikely that Diana would stay dead for very long. 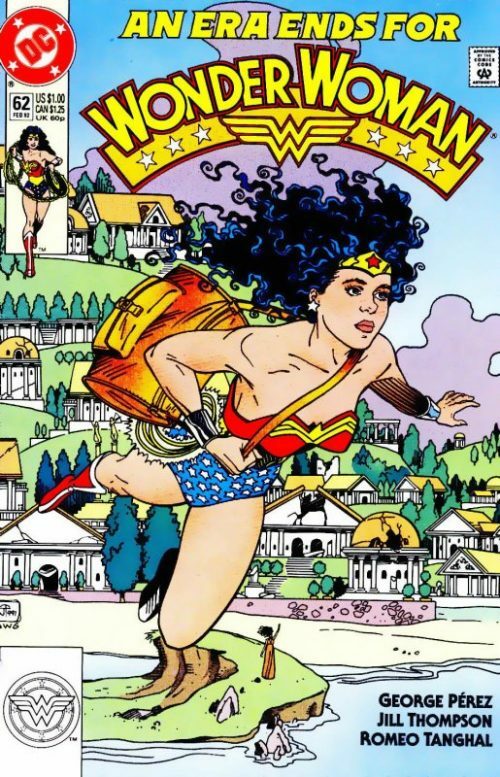 Perez instead uses this issue of Wonder Woman’s own book to reflect on the impact her death has on other characters. In this he is more successful and the final pages raise a tear to the eye as we truly understand the impact Diana has made on the world and how she really stands out as a totally different kind of hero. In my opinion the obvious affection and respect that Perez himself holds for the character are eloquently voiced in Superman’s speech at the end. 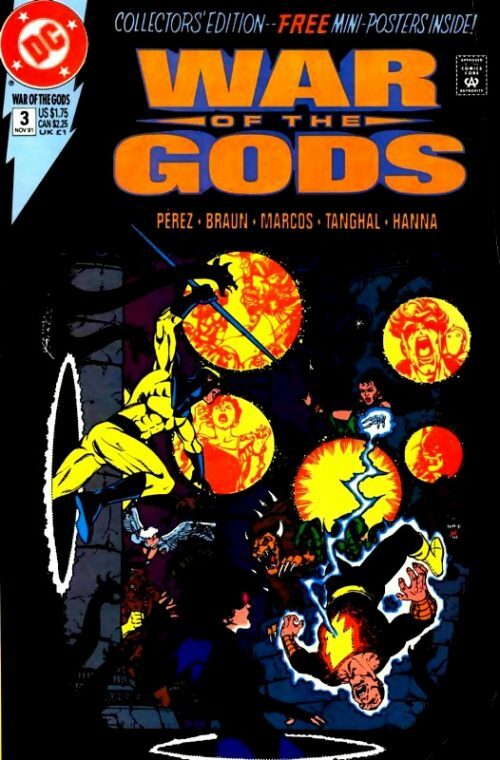 Perez also uses this issue to fill in the plot gaps and tie together all the disparate loose threads of what had by now become a very complex and convoluted story line. Finally, readers were able to see how all the events within the crossover itself, as well as those recounted over the past year’s issues of Wonder Woman, came together.